Our sleek Handbag Tidy All will keep your beauty essentials organised. Compact in size to fit comfortably in any bag, it is hand-crafted from the finest saffiano Italian calf leather in striking scarlet. 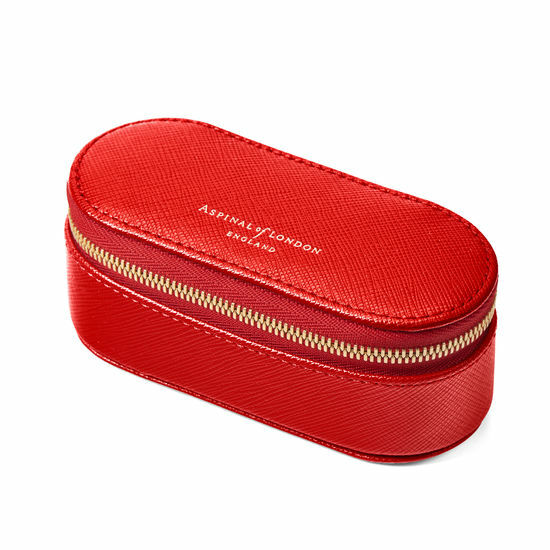 Inside, it has a spacious compartment lined in shimmering grosgrain, with plenty of room for lipsticks, contact lenses or mobile headphones. 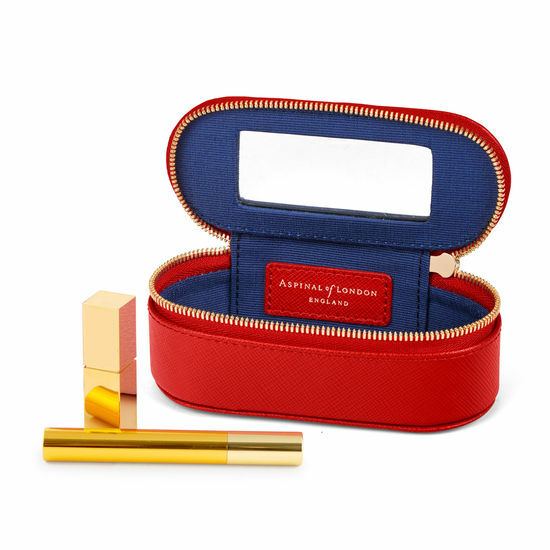 The piece is finished with a charming mirror for mid-morning touch ups and pulled together with a signature branded zip to help ensure your products are protected. It makes the ideal companion for the woman on the go.